On Friday, Sept. 21, Poetry & Art Series 2018 presents a reading by Karen An-hwei Lee, Julie Corrales, Poetic Matrix and poets from 100,000 Poets for Change featuring authors Shadab Zeest Hashmi, Joe Milosch, Jim Moreno, John Peterson, Tomas Gayton, Brandon Cesmat, Jeeni Cricenzo, Michael Turner-Ortega, Lori Walkington and Rex Butters. Hosted by Michael Klam. DJ Barry Thomas will provide music and sound throughout the show. This interactive arts and culture experience will include beverages, snacks and time to mingle. Doors open at 6:30 p.m., and the show starts at 7 p.m. Members are free, nonmembers $6 at the door. The event takes place at the San Diego Art Institute, 1439 El Prado, Balboa Park. Karen An-hwei Lee is the author of Phyla of Joy (Tupelo 2012), Ardor (Tupelo 2008) and In Medias Res (Sarabande 2004), winner of the Norma Farber First Book Award. She authored a novel, Sonata in K (Ellipsis 2017). Lee’s translations of Li Qingzhao’s writing, Doubled Radiance: Poetry & Prose of Li Qingzhao, is the first volume in English to collect Li’s work in both genres (Singing Bone 2018). Her book of literary criticism, Anglophone Literatures in the Asian Diaspora: Literary Transnationalism and Translingual Migrations (Cambria 2013), was selected for the Cambria Sinophone World Series. She earned an M.F.A. from Brown University and Ph.D. in English from the University of California, Berkeley. Currently she lives in San Diego, where she serves in the university administration at Point Loma Nazarene University. 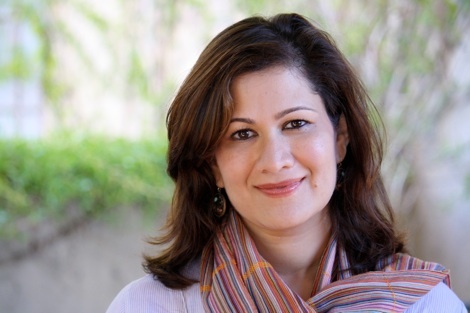 Shadab Zeest Hashmi, author of Kohl and Chalk and Baker of Tarifa, is the recipient of the San Diego Book Award, the Nazim Hikmet Prize and multiple Pushcart nominations. Her work has been translated into Spanish and Urdu, and has appeared in Prairie Schooner, Mudlark, The Cortland Review, Poetry International, Vallum, POEM, The Adirondack Review, Spillway, Atlanta Review, Journal of Postcolonial Writings, Wasafiri, Rhino, Nimrod, Drunken Boat, Asymptote and other journals worldwide. She has taught in the MFA program at San Diego State University as a writer-in-residence and has presented in Turkey, Spain, Pakistan, Mexico and the UK. Ghazal Cosmopolitan is her latest book. Julie Corrales is a first-generation American born to immigrant parents. Raised in City Heights, Julie navigated a world of drugs, gangs and poverty. She became a mother at 15 years old and credits her son and writing with saving her life. Corrales raises two sons, works, writes, studies and remains politically active in San Diego. She draws on her experiences to advocate for and write about Chicano issues. Her essays have been published in The San Diego Union-Tribune and local bilingual publication La Prensa San Diego, and her poetry has been featured on La Bloga, a Chicano literary blog. She performs her poetry and spoken word at various art venues in San Diego. Jim Moreno is a Regional Editor for the San Diego Poetry Annual and a Teaching Artist with Arts 4 Learning, where he was voted Residency Teacher of the Year in 2017. 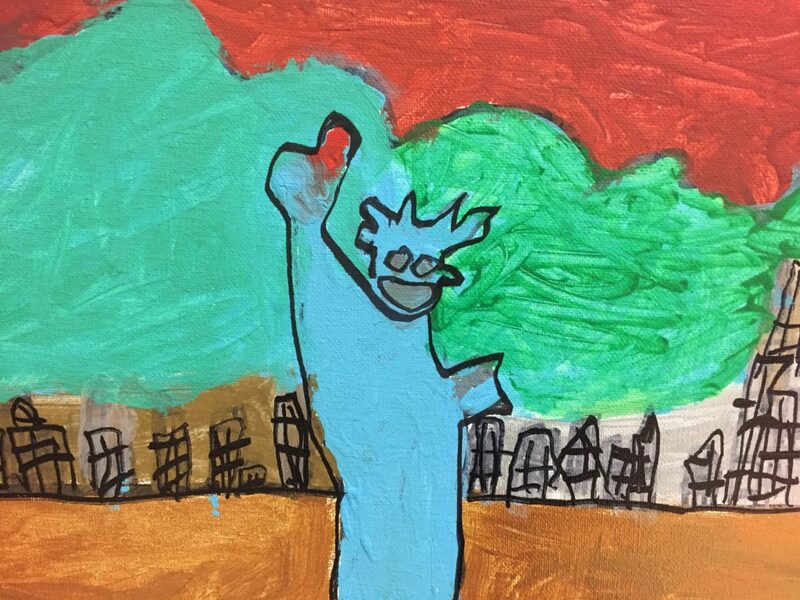 Moreno is an intermittent Poet-In-Residence in Juvenile Hall. He co-hosts 2nd Tuesday Jihmye Poetry Open Mic at the Cafe Cabaret with Theresa F. He is the author of Dancing In Dissent: Poetry For Activism and two CDs of music and poetry. Moreno is on the Advisory Board of the Poetic Medicine Institute in Palo Alto, Calif., & Mid-City Community Music in San Diego. Theresa F. is an Afrikan born in amerikkka, raised in San Diego. Mother of four awesome earth spirits, her writing career began at Baker Elementary. Since then her talents have evolved into poetry, song lyrics and workshops, which create a mental and spiritual paradigm shift to generate positive change. She has shared her message throughout the United States, Canada and Zambia. Joe Milosch graduated from San Diego State University. His poetry has appeared in various magazines. He has multiple nominations for the Pushcart and received the Hackney Award for Literature. His books are The Lost Pilgrimage Poems and Landscape of a Hummingbird. For the last 40 years, Milosch has worked as a trail locator for the Cleveland National Forest and as a construction inspector in the private sector. His poetry draws on those experiences as well as his experiences growing up in the farmland, north of Detroit, Mich., and his army experiences during the Vietnam War. 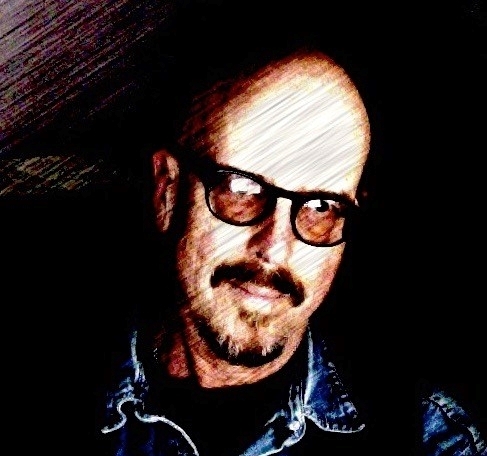 Rex Butters, since 1976, is a SoCal resident who has published journalistic writings on sites and in magazines including BAM, Rapport, All About Jazz, Folk Works, the LA Free Press and the Free Venice Beachhead. His poetry has appeared for more than 25 years in such diverse journals as the True Wheel, Caffeine, Brain Vomit, interbang, Vice and Verse, The Journal of Interdimensional Poetry, Yogi Times, Bad Haircut Quarterly, the Mas Tequila Review and the Muse International Journal of Poetry. His anthology credits include Gods & Radicals: A Beautiful Resistance, Cost of Freedom, The Revolutionary Poets Brigade LA, San Diego Poetry Annual and Extreme. He writes and performs with the improvised music/funk/spoken word ensembles Black Shoe Polish and Rag & Bone, and sings and reads with various projects. 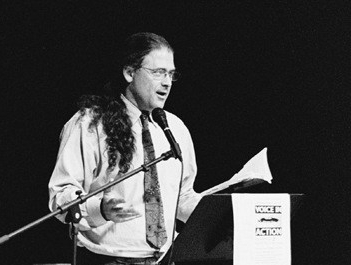 John Peterson is the author of five previous books of poetry. He is the publisher and editor of the online Forever Journal, Poets Comment into the World blogs, and Poetic Matrix Press. The press has published more than 60 books of poetry and prose from U.S. and international writers. Tomas Gayton graduated from the University of Washington with a Juris Doctor Degree. He is a retired civil rights attorney. His work has appeared in the African American Review, the Seattle Review and several other publications. 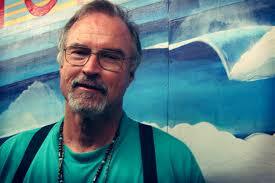 He has published multiple books including his latest collection, Sojourn on the Bohemian Highway. Brandon Cesmat teaches literature and writing at several colleges in Southern California. His first book, Driven into the Shade, received a San Diego Book Award. He has published a short story collection, When Pigs Fall in Love & Other Stories, and is an active member in Teaching Artists Organize (TAO). Michael Turner-Ortega was born in San Luis Obispo, California. He is a Vietnam and Navy veteran. Michael teaches at a local nonprofit organization. Lori Walkington PhD is a professor of critical race studies and criminology at Cal State San Marcos, where she began writing and performing poetry. Having taken a leave to earn her PhD where her research centered spoken word poetry in San Diego as transformative social justice, this reading marks Lori’s return to the Revolutionary Poets Brigade. Poetic Matrix Press was founded in Yosemite in 1997, and has since grown into a press that produces full-length books. Poetric Matrix began by producing a newsletter of poetry and essays on the poetic experience. In 2000 it put out a nationwide call for manuscripts, and published four manuscripts in chapbook format. Since 2001 Poetic Matrix has published full-length perfect bound books, including by poets in New York, Virginia, Northern, Central and Southern California as well as Ireland, England and South Korea. In 2017 Poetic Matrix Press reached its 20th anniversary of continuous publishing and produced the 20th Anniversary Author’s Anthology, So Many Voices. The anthology includes pieces from the publisher’s 60 books and 45 authors, including its Associate Editor James Downs, San Francisco Poet Laureate Kim Shuck, Lyn Lifshin, Francisco X Alarcon, 2010 Nobel Prize in Literature nominee Korean poet Mun Duc-su, Shadab Hashmi, Leroy Moore and many more. 100,000 Poets for Change has been working with poets, writers, artists and musicians to help organize events around the world for peace, justice and sustainability since 2011. It has created a GLOBAL ACTION CALENDAR open to everyone to post creative actions around the world. Please contact host Michael Klam with any questions: 619-957-3264 (cell) or 619-236-0011 (museum) or mkklam@gmail.com. Visit us online at poetryandartsd.com and sandiego-art.org. Support and sponsorship by San Diego Entertainment & Arts Guild, The San Diego Poetry Annual, Puna Press, San Diego Writers, Ink, Poetry International, San Diego Art Institute, and Jihmye Poetry. Angela Torres Features at Palabra!